​Liverpool aren't really playing ball this month. This is January, the month of sagas, swoops and yellow ties. Up at Anfield, Nathaniel Clyne and Dominic Solanke were shipped out sharpish, while the advert for a slightly damaged Lazar Markovic on eBay was renewed in vain, but, other than that, the club fax machine isn't making whatever noises fax machines are supposed to make in the year 2019. Speaking on January deals, Jurgen Klopp has said the seven words that give Jim White nightmares: "N̶e̶i̶l̶ ̶C̶u̶s̶t̶i̶s̶ ̶i̶s̶ ̶o̶n̶ ̶t̶h̶e̶ ̶p̶h̶o̶n̶e̶ ̶a̶g̶a̶i̶n̶" "I'm very happy with what I've got." Speaking to talkSPORT, Klopp was even more bullish when egged on by a grown man who refers to himself as 'Moose'. “The only country that asks a question like this is England. Everything is sorted with buying players," Klopp said. So there you go. No incomings at ​Liverpool it seems. That won't stop the links though. Oh no, they're still coming thick and fast. In no particular order, here's why every half-hearted link you've read over the last couple of weeks absolutely won't happen. Liverpool were name-checked in an ​Italian report about Lazio's Ciro Immobile this week, which claimed the Reds' scouts will watch the Italy forward against Napoli. Liverpool may well be in for another striker this summer, with Solanke already gone and Divock Origi and Daniel Sturridge set to follow, but there's no chance of a big January move. As one of Serie A's top strikers, Immobile - who has never succeeded outside of Italy and at 28 is older than most Liverpool targets - would cost a prohibitive amount, especially as he signed a contract extension as recently as October. Plus, even if it is true that the scouts are watching, scouts watch players all the time. That's literally their job. It doesn't mean a deal is imminent. The injury crisis was always going to bring about transfer stories involving defenders, with Joe Gomez, Trent Alexander-Arnold, Joel Matip and Dejan Lovren all sidelined in the last few weeks. ​£50m for James Tarkowski, as suggested though? Just so that Liverpool can have additional cover for two or three games until Gomez is fit again? Goodness me. Eder Militao and Conor Coady (both of whom have been the subject of exaggerated, speculative reports based on single lines from credible sources) may well be looked at in the summer, especially if Matip leaves, but for now let's just revisit Klopp's words in that TalkSPORT interview on the need for more defenders in January. “We need them back but you cannot buy a fifth centre-half and say ‘so you play two weeks and after that the others come in.’"
Probably just worth highlighting this rumour about the Celtic midfielder was an 'exclusive' from the Sun - not typically the most credible source on all things Liverpool. Former Celtic star ​John Hartson branded the touted £8m fee for Forrest - who is contracted until 2022 - 'laughable'. 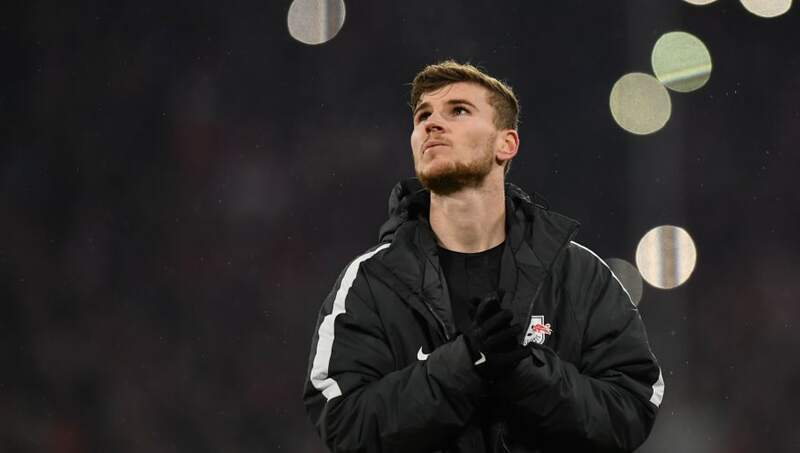 Various German sites have reignited links between Liverpool with RB Leipzig's Timo Werner this month, while the ​Standard seemingly added weight to the fantasy by fleetingly naming the Germany forward in a report, while talking about the Reds' summer plans. Again, summer plans is the key here. Not January. Werner's contract expires in 2020, but he will likely have a host of suitors, including perennial German talent hoovers Bayern Munich. Used in one of the more troubling pieces of football clickbait you will ever read ​last month, as several mainstream outlets (including the Mirror and Express) picked up a baseless story from Israel that Mohamed Salah could quit Anfield, if Moanes Dabour was signed. Even if Salah was such a raging anti-Zionist that he couldn't bear to share a dressing room with an Israel international, as was the implication, Dabour is actually an Arab and a Muslim. Anyway, the 26-year-old forward has officially signed for Sevilla now, so that's the end of the tenuous Liverpool links. ​Be honest, it's quite exciting when you read a link to a player you've never heard of before, isn't it? Links to 21-year-old winger Groeneveld ​originated in the Daily Mail, who only committed to writing that the Reds are among the many teams merely 'tracking' the Club Brugge player. See Immobile section for why that is nothing to get your hopes up about. Frank Lampard raised eyebrows at the start of December when he revealed there is an option for Liverpool to recall Harry Wilson early from his loan at Derby. However, as ​reported by the Telegraph's John Percy, Liverpool are 'delighted' with how the Goal of the Month-hogging Wilson's loan is going at Pride Park and have no plans to cut it short. Meanwhile Klopp said (via the ​club website): "We don’t want to take him away. Only if we really need him would we trigger that option. Otherwise, he’s there in a fantastic team." Why bring back a player in the form of his young career just to keep Divock Origi company on the bench?